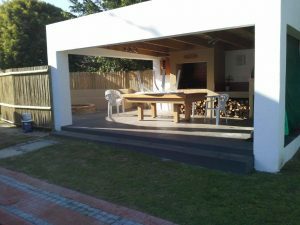 Each entertainment area is custom designed to suit the needs of the client. 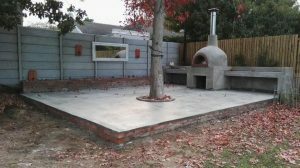 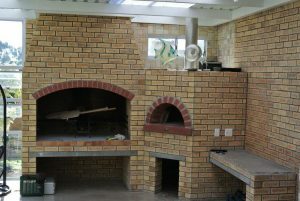 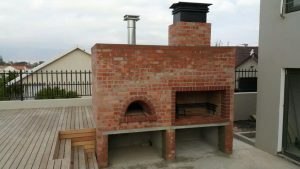 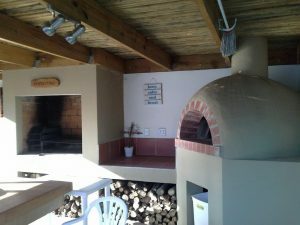 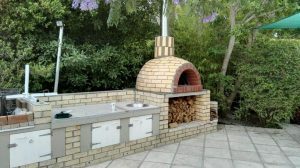 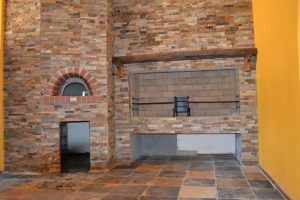 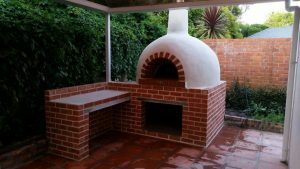 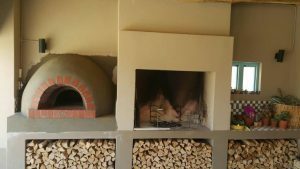 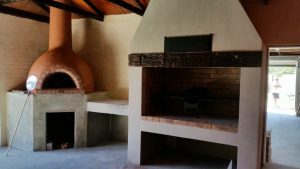 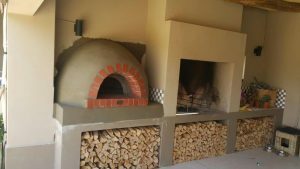 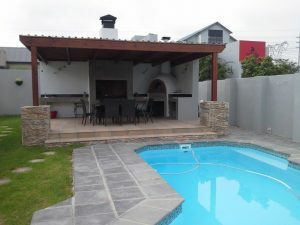 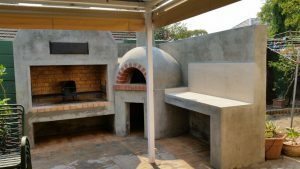 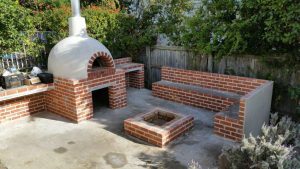 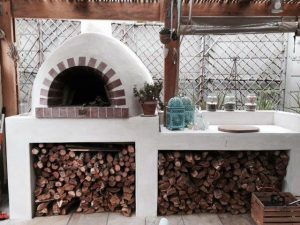 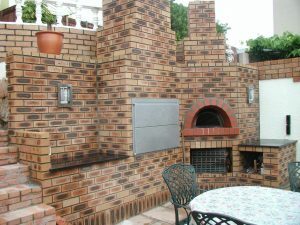 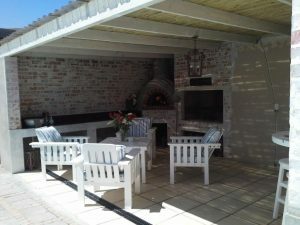 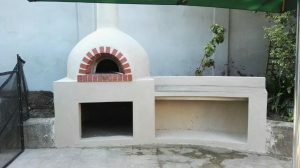 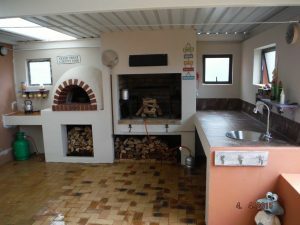 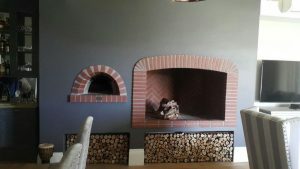 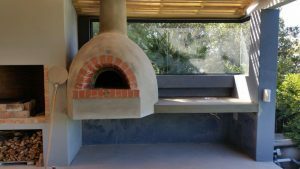 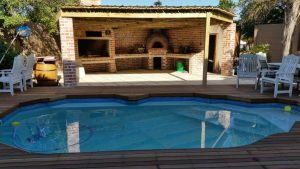 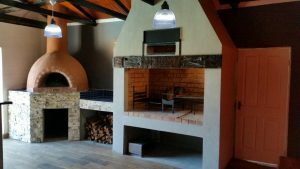 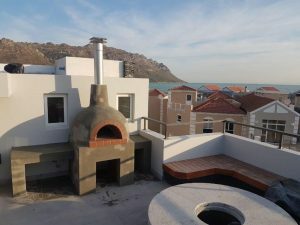 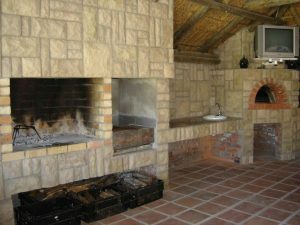 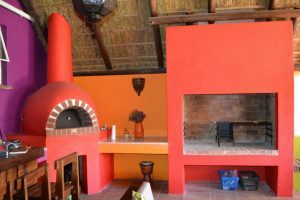 The size of the chimney is based on the inner cubic size of the braai. 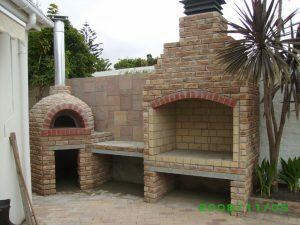 We will then design a turbo cowl for each chimney to create the perfect draw. 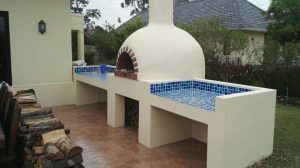 The work tops are custom built to the client’s requirements. 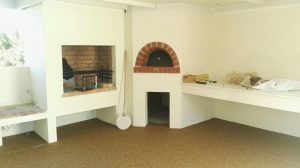 These work tops are normally tiled with a high quality porcelain tile available in various options. 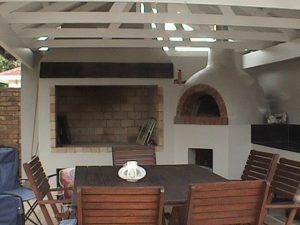 We offer our clients the option of a roof cover over the entertainment area. 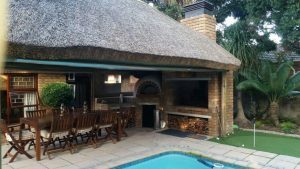 We construct various options like IBR, lattice or thatched to name a few suiting the client’s needs and budget. 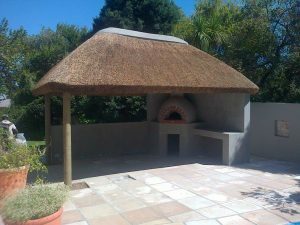 All our thatched Lapa’s is packed 150mm thick with Albertinia Dekriet. 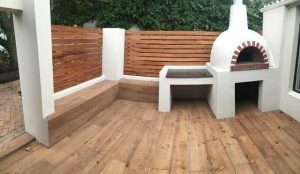 Our wooden structure is built with treated machine poles (not tapered) making it stronger and more appealing. 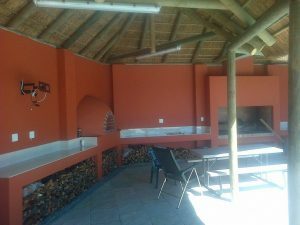 All our lapa’s are fitted with a fire blanket, but sprinklers is optional. 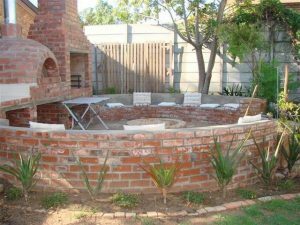 We can also assist in drawing up the necessary plans and the submission there off.